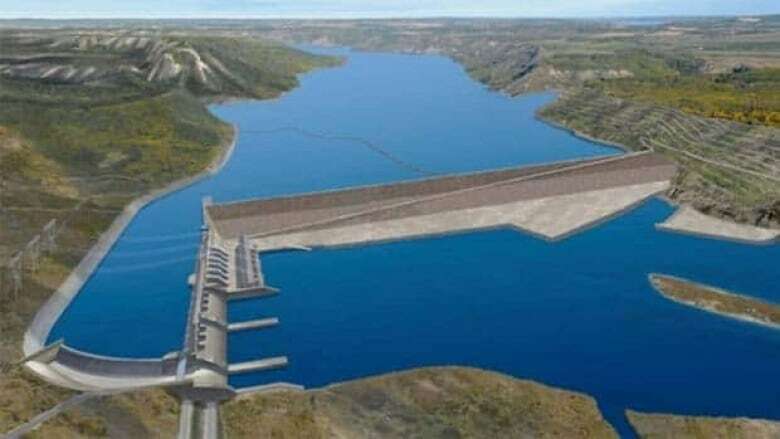 The Mikisew Cree First Nation and the Athabasca Chipewyan First Nation have filed a lawsuit against the federal government's approval of the Site C dam project, saying the government failed to properly consult them. Two First Nations in Northern Alberta want the federal court to overturn the government approval of the Site C dam project. The Site C dam project received environmental approval from both the provincial and federal governments last month. The proposed dam would be the third on the Peace River in northeastern B.C. But the bands say the government failed to consult them properly, or consider the downstream effects the project would have on the Peace Athabasca Delta. "The environmental scope excluded full consideration of the site C dam on the delta,” says Eriel Deranger of the Athabasca Chipewyan First Nation, which filed the lawsuit challenging the project along with the Mikisew Cree First Nation this week. “We feel that they didn't really look or consider how it would be impacted or the treaty or aboriginal rights of those that rely on the delta." Dave Conway with BC Hydro says he can't comment on the legal action that's being taken. He does point to the recommendation from a joint review panel which said there would be no environmental effects on the Peace Athabasca Delta. "That's the piece of information that the federal and provincial governments view in coming to their decision about granting the environmental assessment certification," Conway says. Several B.C. First Nations — Treaty 8 signatories in northern British Columbia — have also launched a lawsuit. The Peace Athabasca Delta is a UNESCO World Heritage Site and one of the largest freshwater deltas in the world.